the holidays are officially here and i for one couldn’t be happier. sure, they are stressful but i’ll take this time of year over pretty much any other time of year. that being said gifting can be tricky, especially if you’re shopping for one of those people that seem to have everything. i’m here for you… with a shameless plug for the kai range. well, that was awkward but while we’re speaking of gift giving i’ve pulled together my list of favorite things from our offerings. take a peek. 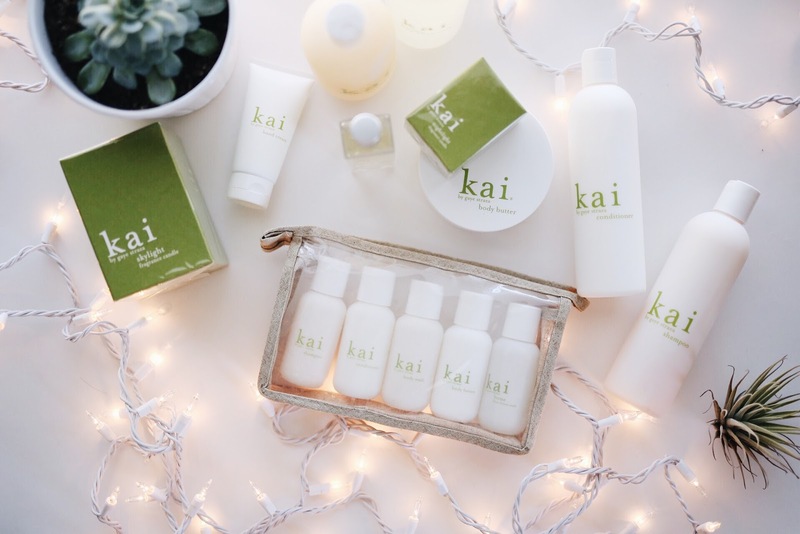 the romantic: kai bubble bath, a bottle of champagne and a whole bunch of kai candles. extra points for including the kai home room linen spray to delicately spritz on the sheets. the beach bound: our body glow leaves the best sheen on bare legs. no glitter, no glimmer, no shimmer. just glow. 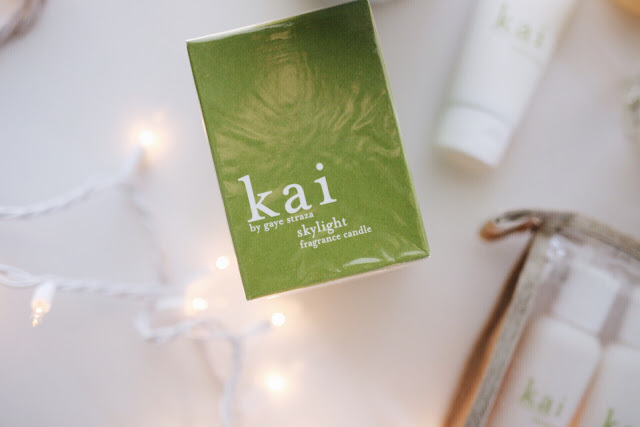 the slopes bound: the kai travel set, which includes kai conditioner. take a cue from w’s beauty director, jane larkworthy, who wrote she leaves a bit of kai conditioner in her hair while skiing. keeps hair from getting dried out while on the slopes and leaves it super hydrated when rinsed out for a night on the town. the kai guy: upgrade your beau’s shower situation with the dude-friendly kai body wash.
the jet-setter: kai, purse sized, can be thrown into the smallest of bags for an easy touch up on the fragrance front. 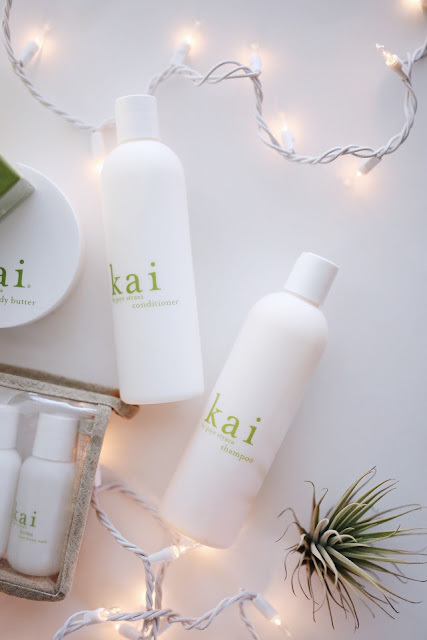 the kai junkie: one of my very favorite kai combos comes in the form of kai polish for a good scrub a dub followed by our body butter to seal the deal. 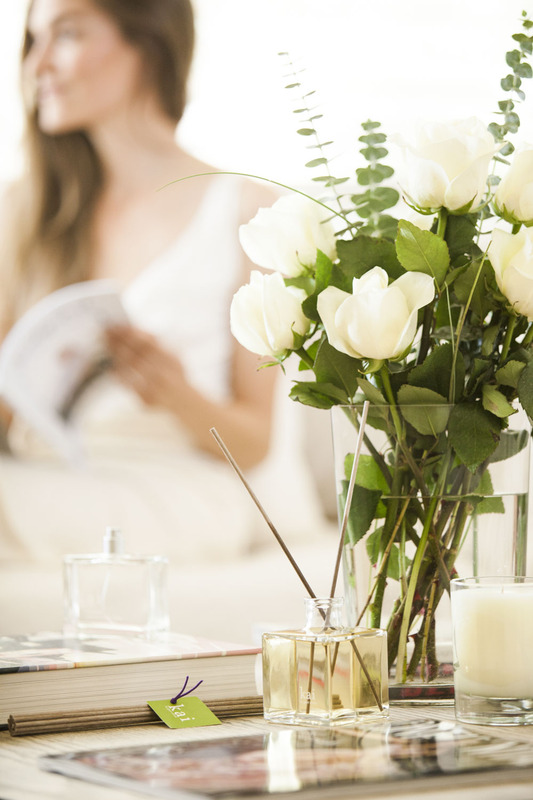 the hostess: with the holiday party invites piling up, the kai home reed diffuser makes for an easy and elegant thank you. don’t forget your guest room! i love to put serious effort in here, dressing the room with everything my guests could need from morning to night. candles lit for arrival. flowers by the bed. bubbles for the bath along with kai shampoo, conditioner, wash, deodorant, lotion or butter to name a few. a full fridge and “help yourself” attitude works wonders. lastly, take care of yourself and your own needs. this is a season for celebration but it can leave you spread a bit thin when you’re traveling or having guests. it’s a lot of work and can be such a bittersweet time. so take a beat, take a breath, slow down and remember what’s truly important in life so you can enjoy the holidays no matter what’s thrown your way. p.s. enjoy our gift to you, free shipping at kaifragrance.com!